Pando is widely considered to be the world’s largest single organism, weighing in at about 13 million pounds and covering over 100 acres. What is it? Pando is a clonal colony in Utah’s Fishlake National Forest consisting of more than 47,000 genetically identical above-ground stems or “ramets” originating from a single underground parent clone of quaking aspen. The clonal colony is determined to be a single living organism by virtue of its identical genetic markers and the assumption that it is served by one massive underground root system. The name Pando is Latin for “spread out”. Pando has likely existed for thousands of years, but there is no way to accurately determine its age. In any case, it now appears to be in danger. A study of 72 years of historical aerial photos chronicles a steady thinning of the forest, the presence of earlier clear cuts that remain deforested today, and the continual intrusion of human development. Pando has been protected over the years by fencing parts of it and later, all of it, which is intended to prevent browsing by animals of new emerging stems. However, mule deer appear to be finding ways to enter through weak points in the fence or by jumping over the 8-foot barrier. The overall analysis is that the so-called “trembling giant” that has lasted for millennia may not survive 50 years of human meddling. The study shows that Pando has not been growing for the past 30 or 40 years. 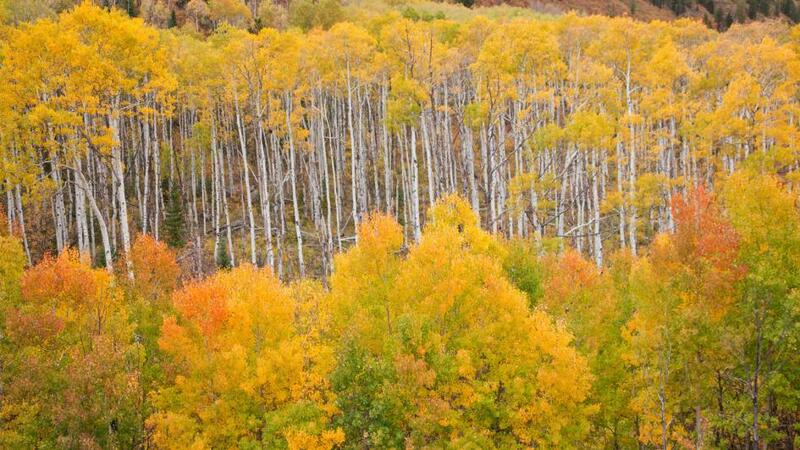 Quaking aspen was named Utah’s State Tree in 2014. Pando serves as a symbol of the relationship between nature and humans and a harbinger of broader potential species losses. It remains to be seen whether this remarkable organism can be saved. ‘Pando Is In Trouble’ from Earth Wise is a production of WAMC Northeast Public Radio.